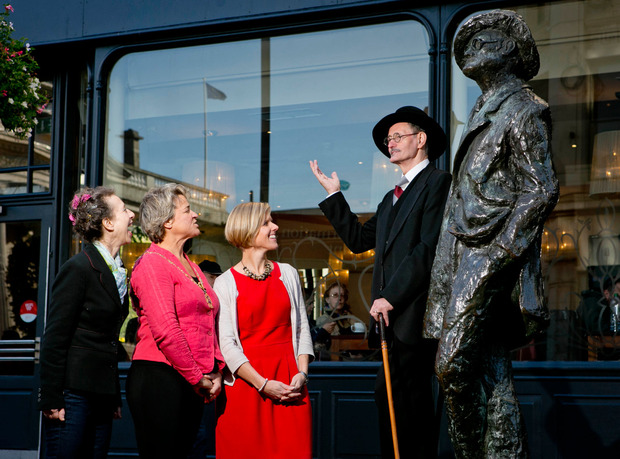 Ten Dublin statues have been given the gift of the gab thanks to a chatty new tourism initiative from Fáilte Ireland. 'Dublin’s Talking Statues', which allows visitors to "take a call" from well-known statues ranging from Oscar Wilde to Cú Chulainn, launched this week. To activate the call, passers-by simply use their smartphones to swipe a QR code (or access a weblink) featured on new plaques erected at the statues. When they do, they'll get a call back from the statues (listen above). Or rather, a call back of pre-recorded scripts read by the cream of the Irish acting community - including Gabriel Byrne (James Joyce), Andrew Scott (Oscar Wilde) and Ruth Negga (below, Daniel O'Connell Monument). Brendan Gleeson is the voice of Wolfe Tone, while Brenda Fricker will catch you up from 'Meeting Place' (the two ladies with their bags by the Ha'Penny Bridge). 'Dublin's Talking Statues' is funded by Fáilte Ireland, commissioned by art producers, Sing London, and supported by Dublin City Council. 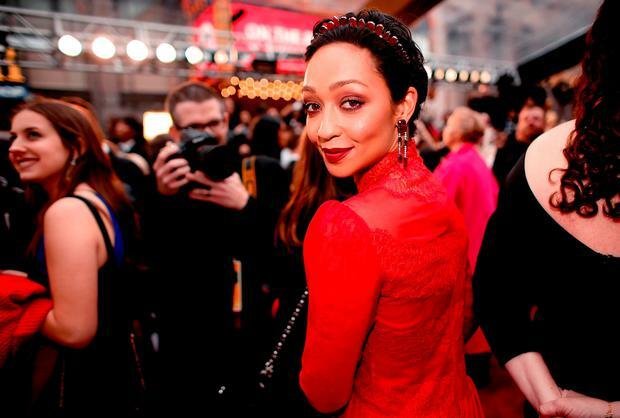 The stars aren't just on the acting side, either. Pilot scripts were written by Irish writers including Roddy Doyle, Paula Meehan, John Banville, Arthur Matthews, Eoin Colfer and Enda Walsh. RTE's Joe Duffy both wrote and read the monologue for George Salmon - the imposing white statue next to the Campanile in Trinity College. 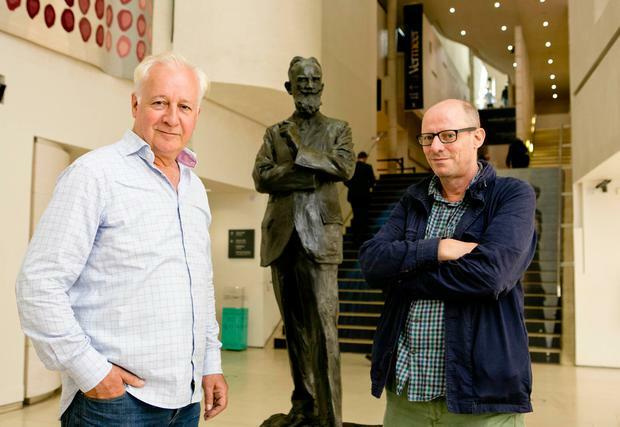 "Dublin’s Talking Statues are being animated in an innovative, engaging and surprising way that serves to deepen visitors' experience while in Dublin,” said Fáilte Ireland’s Head of Dublin, Keelin Fagan. Sing London, who have worked on similar projects in London, Berlin and Chicago, were selected following a competitive tender process. Further statues are being considered for animation in 2018.